On today’s Weekly Show we discuss measuring application performance across a network. We’re going to focus on a couple of specific scenarios with our sponsor, ThousandEyes. First is the global domain name system, or DNS. DNS is that first step before one system can contact another, turning a hostname into a numerical address. DNS performance matters, because not much else in an application transaction is getting done until name resolution is completed. 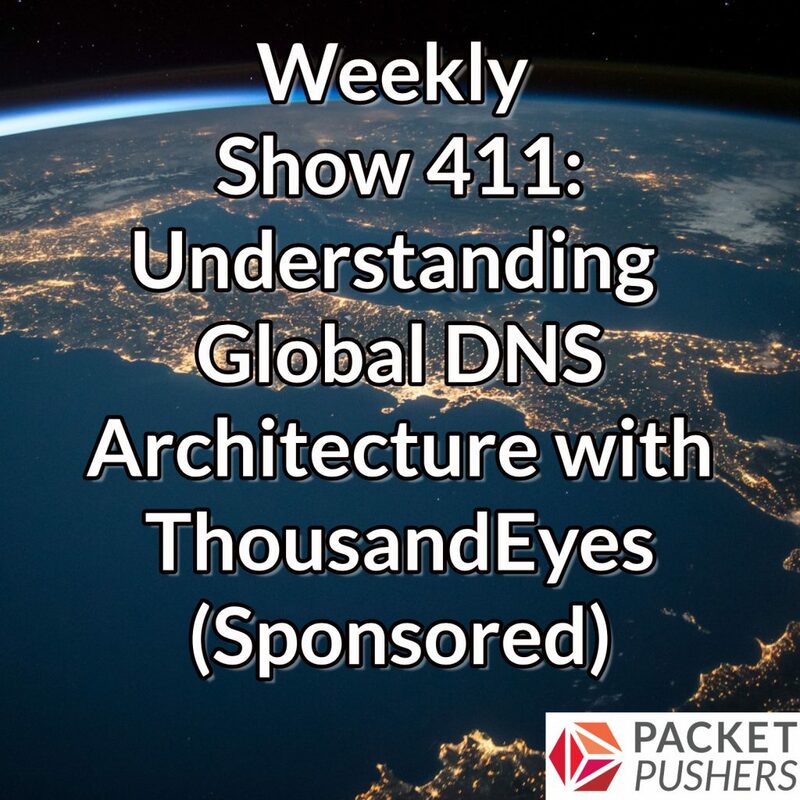 ThousandEyes recently completed an extensive report on global DNS performance. We’ll talk about how ThousandEyes gathered data for the report, and examine some of its key findings. The second scenario is endpoint tests, where you can see exactly how an app is performing on the system using the app. We’ll discuss the kinds of tests you can perform, and the insights you can glean to understand performance and speed up troubleshooting. Our guests are Angelique Medina, Senior Product Marketing Manager; and Ameet Naik, Senior Technical Marketing Manager, both from the team at ThousandEyes.